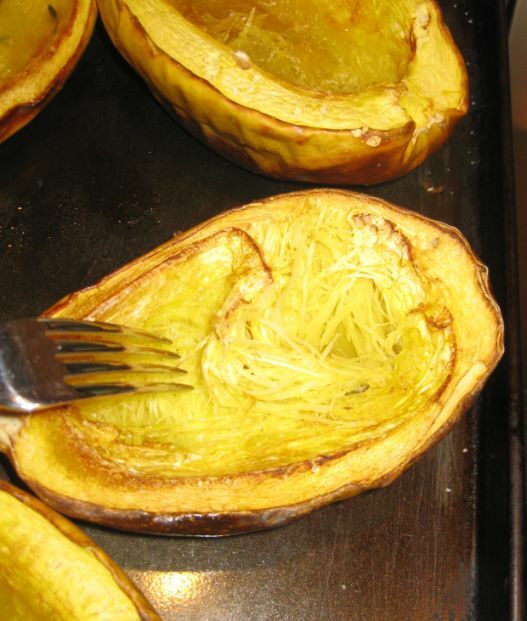 Spaghetti squash can be boiled, baked, steamed or microwaved. It can be served with or without a sauce as a substitute for pasta and there fore cutting down your carbs intake! 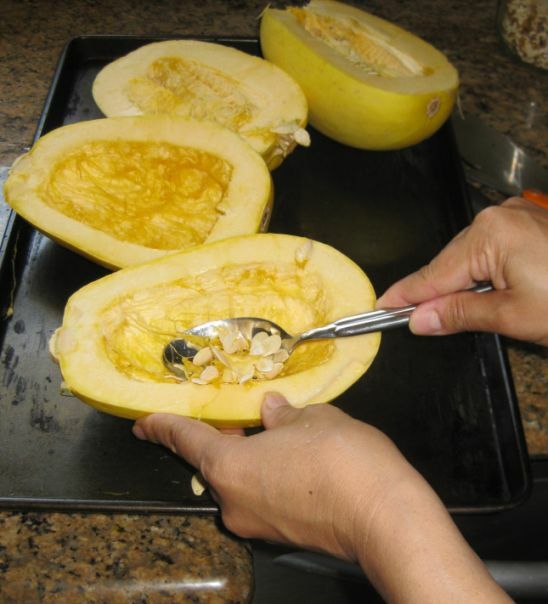 The seeds can be roasted just like pumpkin seeds. 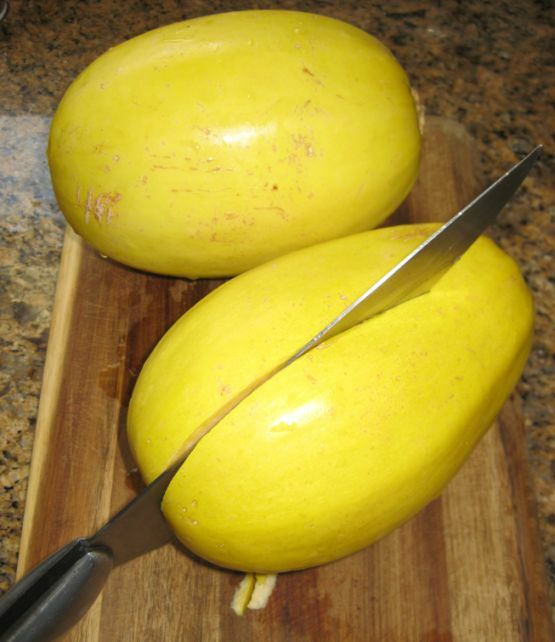 Spaghetti squash contain many nutrients such as folic acid, potassium, vitamin A, and beta carotene. It is low in calories, averaging about 42 calories per one cup of serving! 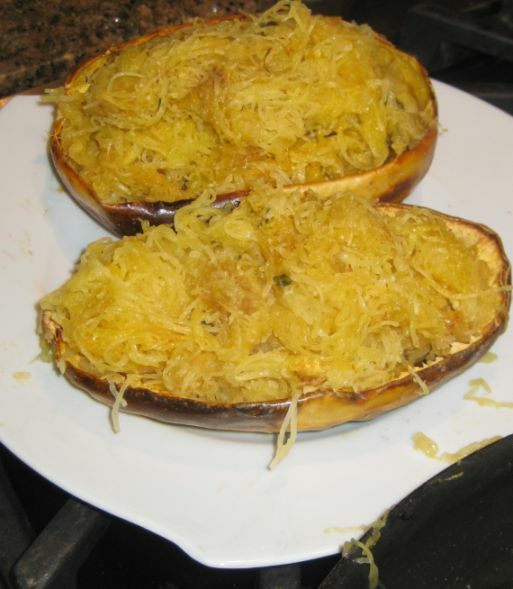 Baked spaghetti squash in also very yummy and tasty. 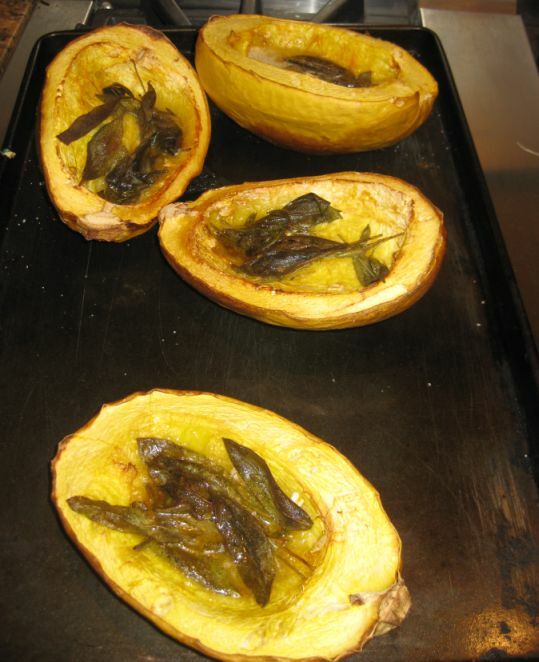 The addition of the fried sage really enhances the taste of the squash! 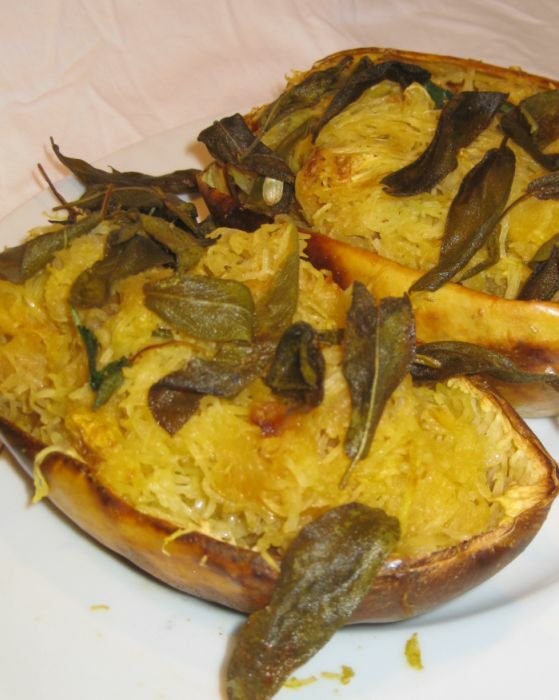 There is not word in English for it but in Vietnamese we say the squash are "Bui", I can't really translate it but basically it means it is has a tasty texture. Scoop all of the seeds out. 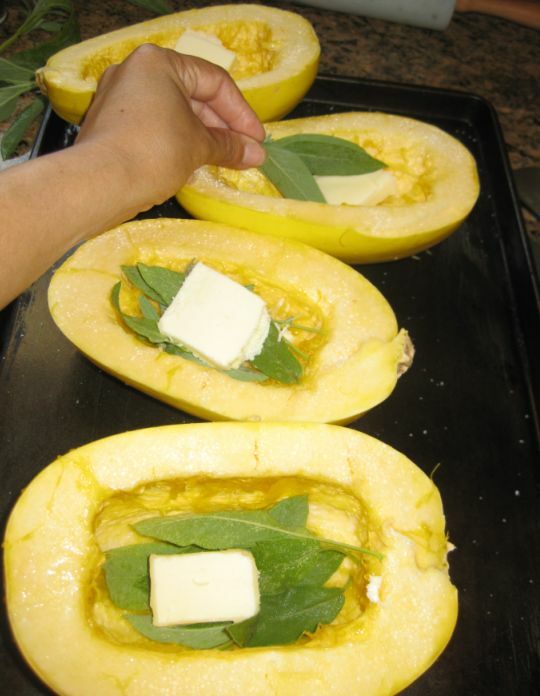 Place the squash on a baking tray and add a tablespoon of butter inside each squash.. Mix it with the sage leaves and add salt and pepper. 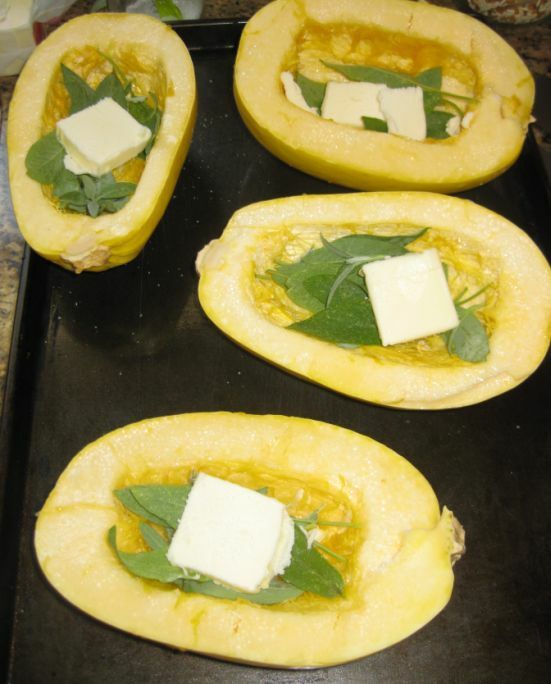 Preheat your oven to 325 degree and bake the squash for about 45 minutes to 1 hour. 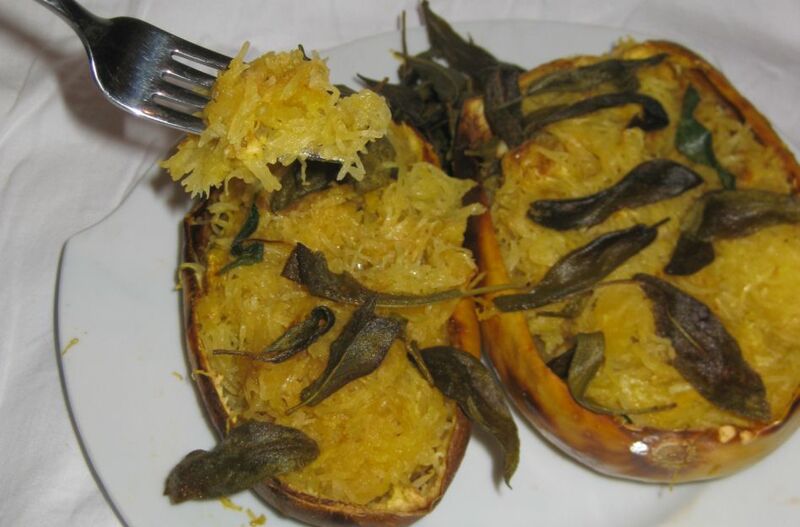 Use a fork to pull the squash apart starting at one edge turning it into what looks like spaghetti noodles. 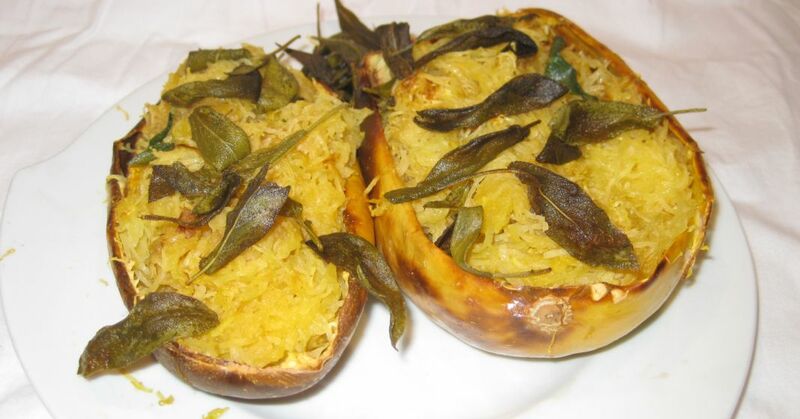 keep the skin of the squash so you can use it for decoration. 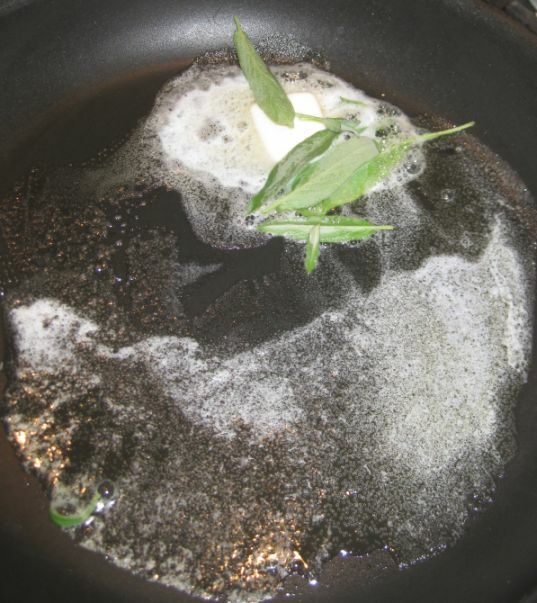 On a hot pan, add butter and sautéed the sage leaves until crispy. 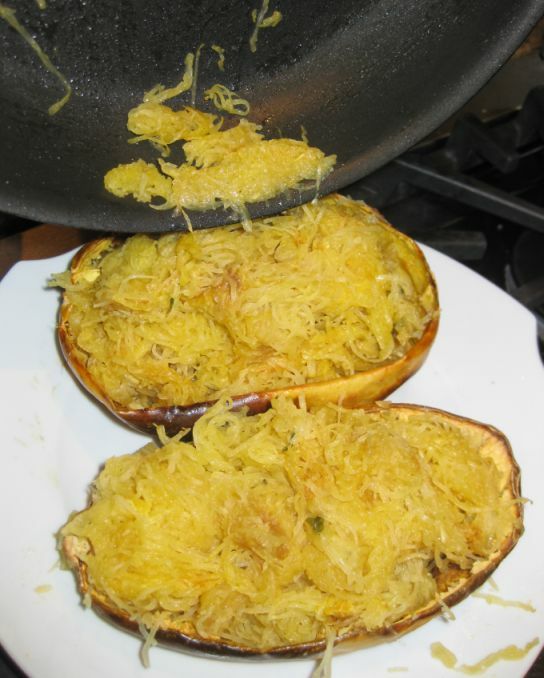 Add the flesh of the spaghetti squash and sautéed for a few minutes> Add salt and pepper to taste. Pour the squash back into the squash skin. 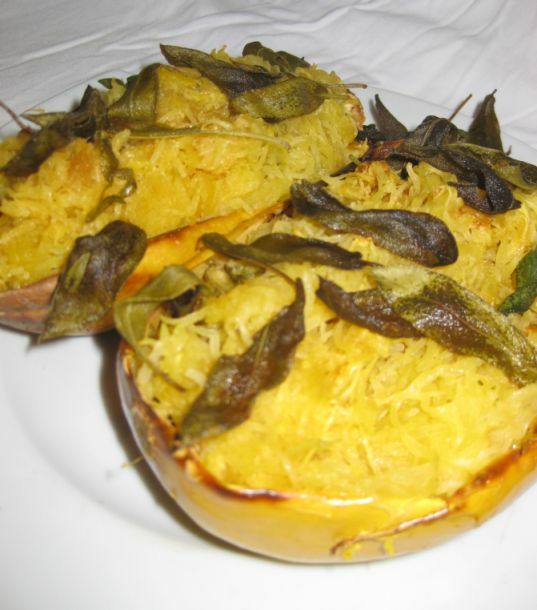 I stuffed the spaghetti squash into 2 large servings. Done! ready to serve. Add a few sage leaves on top for decoration.